TheSheepMarket.com is a collection of 10,000 sheep made by workers on Amazon's Mechanical Turk. 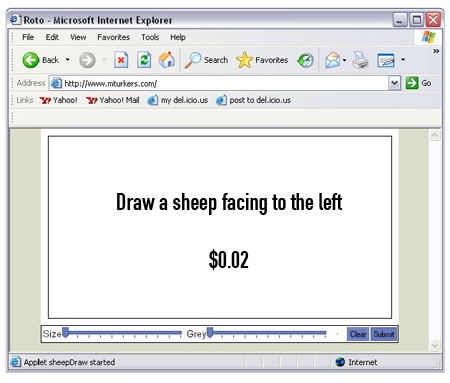 Workers were paid 0.02 ($USD) to "draw a sheep facing to the left." Animations of each sheep's creation may be viewed at TheSheepMarket.com.